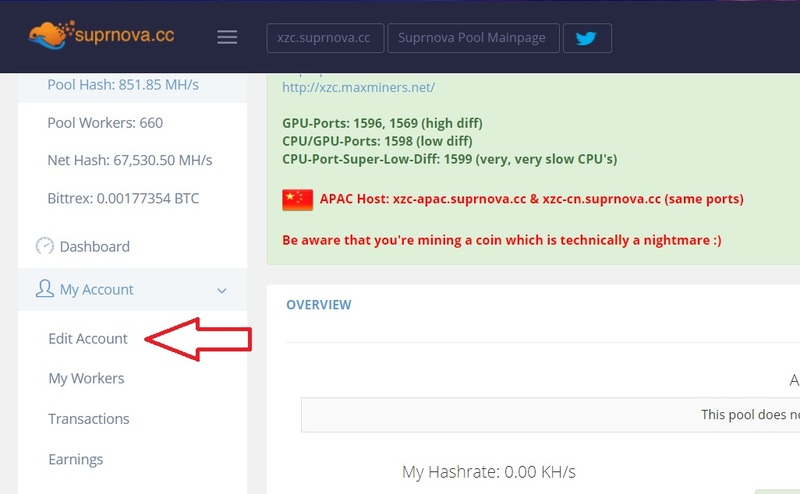 We are going to setup a mining process by using a pool that’s require you to put worker’s name and password, for this guide I’m going to use supernova since is one of the most popular along with Zcoin for mining, however some people might be or might not agree that it is a reliable pool, from my experience I would say it’s OK.
Before start: in case you need more context keep reading after the step by step guide. 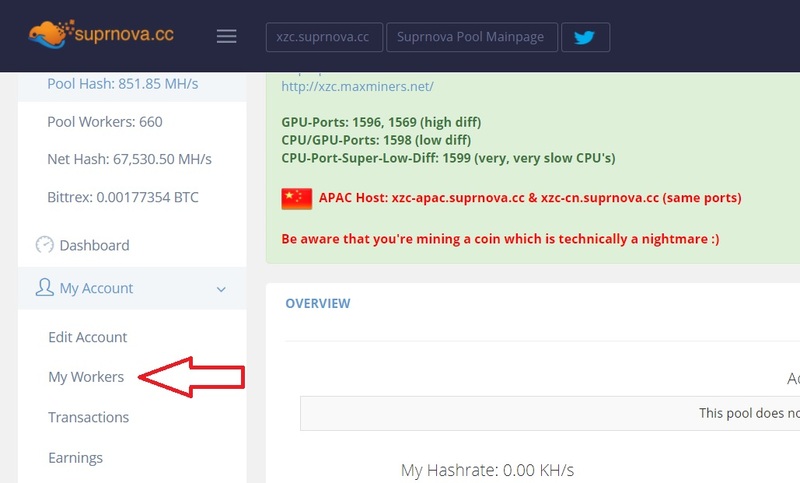 1,- Go to the mining pool suprnova.cc the main page usually will show the list of coins that they support so make sure you see the list and coins. 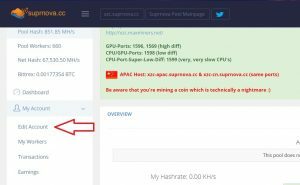 2.- Find the coin you would like to mine then go and do click to it. 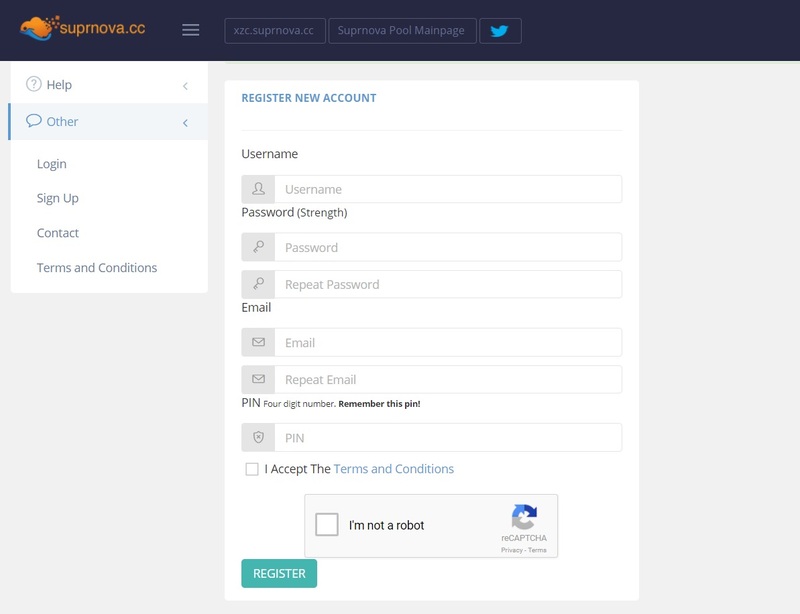 3.- Once you enter to the coin link notice that the URL in the browser will show the coin, later on you can use this URL to access directly to the coin pool, in this case we will see something like xzc.suprnova.cc (again you will see something similar in other pools). XZC is the mnemonic name for ZCoin same as btc for Bitcoin. 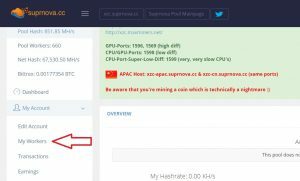 4.- Register to the pool, keep in mind that this is one time registration so you can use the same account to mine any other coin the pool has. PIN <- don’t lose this because this is required when you want to make changes to your wallet account information i.e cash out balance or changing the wallet address etc. 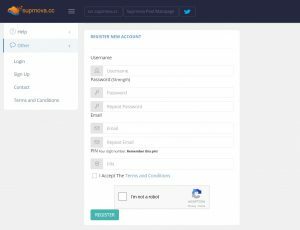 6.- Then after you login to your account, you will see a menu on the left side, we need to add our wallet information and also add workers. Let’s do wallet first, go to My Account/Edit Account. 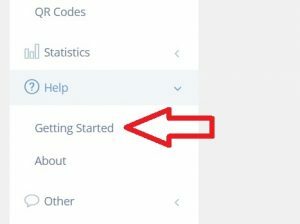 7.- Enter your wallet address and you have to provide the PIN, if you want to change other settings like automatic payment you can do it later. 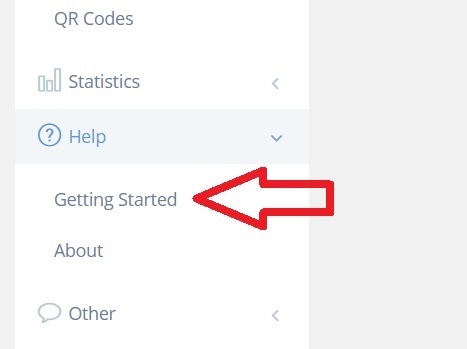 8.- Now we are ready to add our workers, from the left menu go to My Account/My Workers. 9.- You will see the list of your workers just right there. 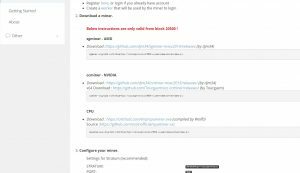 10.- Finally you are ready to mine, if you need help of which miner program you have to use it’s very useful to go to the Getting Started section. 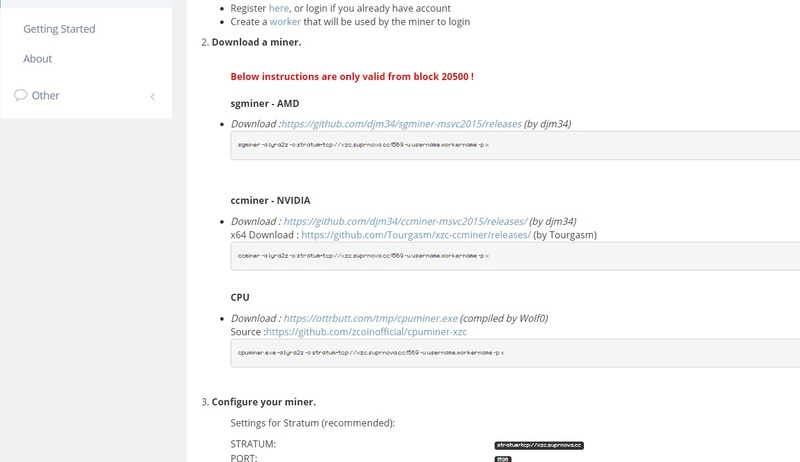 11.- Here you will find information of what miner you can use and also examples of how your command line should be. 12.- This is an example of how the bat file to start the miner should looks like. Basically this type of pools that use that schema come from an open source called MPOS (Mining Portal Open Source), here are some examples of pools that are using this schema and you will see that all these pools look very familiar among them.